I have heard that you should only walk puppies for about 10 minutes at a time, once they have had their injections (so around 11-12 weeks. Is this correct? Comments for How long should I walk my 12 week old German Shepherd puppy for on each walk? Hi there please don,t rush your dog in to a lot of walking straight away.I would say 10 /15 minutes for the first couple of weeks and very gradually increase him .There pads under there feet need to harden as well so,its short time for the moment .Remember he wont be that small for long .hope this helps . It depends on where you are walking him. If it is on concrete or asphalt, then about 10-15 minutes is good. If you are walking on a softer surface like grass, or a wooded path, then you can go longer. The reason is the growth plates. Big dogs take time to get big, so walking too far on a hard surface can put stress on the plates. But if you do a leisurely stroll & let him sniff & explore & get used to the leash you could stay out longer, just not go too far. 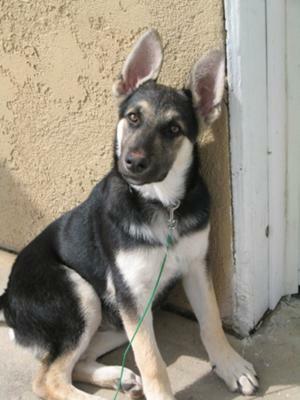 This gives him a chance to socialize & experience the world, which is crucial for a gsd. If you worry he won't get tuckered out, you can also do a game of ball-fetch in the yard when you get home. Training will also tire him out.